Superintendent of Public Instruction Mark Johnson shows off one of the new Apple iPads at an August Council of State meeting. 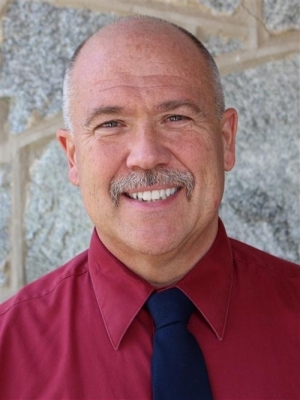 · Months before a $6 million purchase of Apple iPads, the company spent more than $5,300 on meals, transportation and lodging for the benefit of Superintendent Mark Johnson, three state lawmakers and two local superintendents at their Silicon Valley headquarters. · It’s not the first time tech companies courted state officials. Google has spent thousands on luxury hotels and upscale dinners for state lawmakers with budget powers. · Superintendent says trip had “informal” approval of state’s ethics officials. · In bypassing approval by Department of Information Technology, iPad purchase may not have followed terms of state’s contract with Apple. · Public officials face different standards under the ethics law, so it’s unclear whether North Carolina ethics laws were broken. · Ethics advocates say state’s laws were intended to stop “wining and dining” of public officials. But a Policy Watch review of state documents has found the multi-million dollar investment, which was not put out for bid with other vendors, came roughly seven months after Johnson and a trio of influential Republican budget-writers in the North Carolina General Assembly convened for an “executive briefing” with Apple reps at their Cupertino, Calif., headquarters. During the two-day meeting last October, the trillion-dollar tech giant spent more than $5,300 on transportation, lodging and meals for six state leaders, including dinner at an upscale Silicon Valley restaurant. 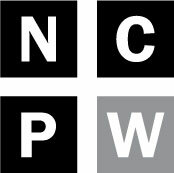 Those invited wield significant power over the state’s public education budget, which funds services for North Carolina’s 115 school districts and 1.5 million schoolchildren. Johnson disclosed the summit as a scholarship for an “innovation meeting” with Apple Inc., but for some of the public officials on hand, the trip skirts, if not violates, North Carolina’s labyrinthine ethics laws, which were overhauled roughly a decade ago to slow the growth of lobbyist spending on gifts and meals for powerful leaders. And it’s not the first time in recent years that tech giants treated influential state lawmakers. Public reports reviewed by Policy Watch detail one particularly pricey meet with Lincoln County Republican Jason Saine last year, just days before he attended the Apple trip too, in which Google — one of Apple’s chief rivals in the K-12 device market — spent almost $3,000 on airline tickets, a luxury hotel and dinner for the three-term legislator. “We did a lot of work ten years ago making the state’s ethics law. Clearly, we still have a long way to go,” said Bob Phillips, a longtime ethics reformer in North Carolina and executive director of Common Cause N.C., a nonpartisan organization that advocates for open government. 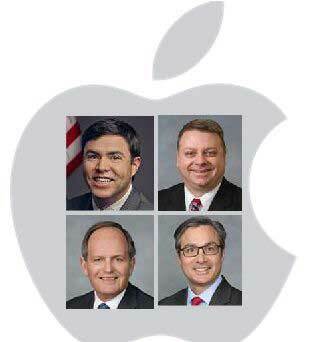 In addition to Saine, Sen. Michael Lee, a Wilmington Republican, and Rep. John Fraley, an Iredell County Republican, had most of their expenses paid on the Apple trip too. They were joined by state Senate staffer, Eric Naisbitt, who worked in Sen. Chad Barefoot’s office. 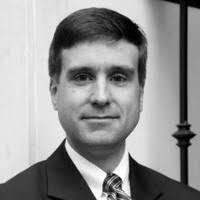 Barefoot, a Wake County Republican, co-chairs the education appropriations committee in the Senate. In addition to Superintendent Johnson, Rep. Jason Saine, Rep. John Fraley, and Sen. Michael Lee made the trip to Apple’s headquarters in California. The gathering also included Harnett County Superintendent Aaron Fleming, Rowan-Salisbury Schools Superintendent Lynn Moody, Craven County Superintendent Meghan Doyle and UNC School of Education Dean Fouad-Abd-El-Khalick. Saine, who is seen by some as the legislature’s tech “guru,” chairs the state House’s information technology budget panel and serves as vice chair of the full appropriations committee. Fraley and Lee are co-chairs for the education appropriations committees in the House and Senate, respectively. House and Senate Democrats who serve on the education budget committees said they were not invited. North Carolina laws generally forbid “gifts” from vendors seeking to do business with the state, but do provide some exceptions, including an allowance for “reasonable actual expenditures” on transportation, food and lodging when a legislator or public servant attends an “educational” meeting. The legal leeway in North Carolina statutes comes with stipulations, including the requirement that the gathering counts at least 10 or more state participants. Representatives and lobbyists for Apple did not respond to multiple Policy Watch inquiries seeking additional materials and a guest list for the meeting. But several attendees who spoke to Policy Watch listed just nine participants. Meanwhile, Johnson’s office may not have followed the correct purchasing procedures when it bypassed vetting on the iPad deal through the state’s Department of Information Technology. A DIT review is required under North Carolina’s contract with Apple, according to Bill Holmes, director of legislative and public affairs for the N.C. Department of Information Technology, an executive branch agency that oversees tech services for state agencies. The oversight has unclear ramifications for the deal. 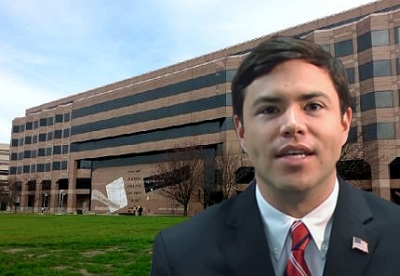 The state superintendent declined an interview to discuss the controversy. However, Graham Wilson, a spokesman for Johnson’s office, said the superintendent received “informal” approval for the trip from staff in the Bipartisan State Board of Elections & Ethics Enforcement. Wilson pointed to an exception in state law that allows public servants like Johnson to treat otherwise impermissible gifts as a donation to the state if the public servant’s employing agency – in this case, the Department of Public Instruction, the agency Johnson runs – approves them to accept such gifts. “We were comfortable with it,” said Wilson. That exception, however, would only apply to those categorized as “public servants” in the ethics law, meaning Johnson and not state lawmakers. Wilson added that there was no discussion of buying iPads at the private briefing, although an agenda for the session, which was provided by Johnson’s office, included a presentation on “literacy and the iPad” and “why mobile matters.” State officials were also scheduled to tour the company’s store during their visit. Johnson’s Aug. 7 press release announcing the large state acquisition included a quote from Fleming, in which he praised Johnson’s decision. Johnson also announced in the release that he’d be touting the acquisition with Moody. Both Moody and Fleming attended the October talks with Apple and had their expenses paid for by the company, Policy Watch has confirmed. At best, ethics advocates say the meeting and subsequent no-bid purchase of about 24,000 iPads – enough for every K-3 reading teacher in the state – circumvents the state’s laws, inviting questions about the massive Apple investment. At worst, the trip may be particularly risky for local superintendents, for whom the state’s laws flatly ban gifts from a current or potential vendor. Apple’s 2017 Trip, Oct. 24-25, 2017, in Cupertino, Calif. Note: Officials paid for their own flights. 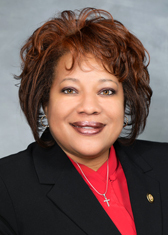 Norma Houston, a local government ethics expert at the UNC School of Government, interprets the law to mean that district leaders should not accept gifts from any vendor that has done business with their district or may do so in the future. Fleming and Moody acknowledged both of their districts have purchased Apple products in recent years. Fleming said Wednesday that, while he does not believe that he broke the law last October, his office may reimburse the money to Apple “because of the potential perception this has raised.” Moody said she would discuss the matter with her system attorney. Violations of the ethics law for local superintendents would be considered a criminal matter, and both the giver and receiver could be charged with a misdemeanor. 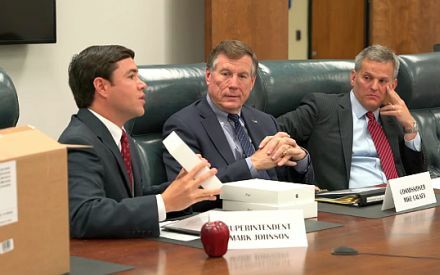 Doyle, Craven County Schools’ superintendent, acknowledged she attended the Apple briefing too, but Doyle said her eastern North Carolina district, which currently has a leasing deal with Apple products, paid her way. 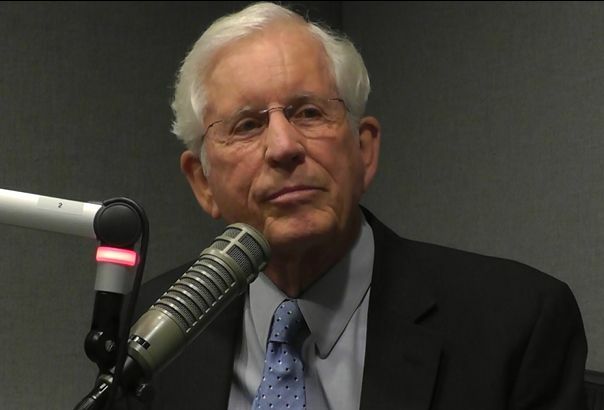 State Board of Education Chairman Bill Cobey, whose panel oversees North Carolina public schools alongside Johnson, called it “inappropriate” for education policymakers to accept meals, hotel rooms and transportation from a company openly seeking to do business with North Carolina. Cobey, a Republican and former U.S. Congressman appointed to the panel by ex-Gov. Pat McCrory in 2013, said he’s never been invited to such a meeting during his tenure. Johnson said he worked closely with state lawmakers to acquire the devices in June, using unspent dollars budgeted for early childhood literacy to dispatch the tablets to local systems. Teachers would use the computers to ease a time-consuming, reading assessment process under the state’s Read to Achieve program, which sets literacy benchmarks for the state’s public schools. “Having more of these tools in each classroom will reduce burdens on teachers, giving them more time to focus on instruction,” Johnson said in an Aug. 7 statement. But details of the massive state acquisition raise not only ethical questions, but questions about timing and procedure, including doubts that the agency followed the state’s purchasing protocol when it paid for the 24,000 or so iPads off a state contract without securing DIT approval. “It’s not like we have a mechanism to punish them with,” said Holmes at the DIT. Brad Young, a spokesman for State Auditor Beth Wood, said Wood’s office did not know about any technical issues with the DPI purchase, but could have audited the deal if it had been brought to their attention. Still, Young said the purchase would likely stand whether or not it violates the state’s contract with Apple, a “weakness” of the so-called “term contracts” DPI used to purchase the tablets. Term contracts are pre-negotiated, state deals often utilized by local districts to purchase products from certain vendors like Apple. Wood broached her concerns about the term contracts to state lawmakers in summer 2016, he said. The purchase also bucks DPI’s four-year “refresh” cycle for Read to Achieve devices. Districts received funding for new computers in 2016 and 2017. Indeed, State Board of Education members who spoke to Policy Watch said they had not received calls from districts for new K-3 devices. Furthermore, the multi-million dollar deal breaks with DPI’s practice of dispensing dollars, rather than devices, allowing districts to choose which device is best to help them meet the state’s K-3 literacy benchmarks, according to the department’s longtime finance chief Philip Price, who retired last year. Different districts use different devices. Some use Google Chromebooks, which cost between $143-$210 per tablet. Most districts in the state, however, utilize the iPad, which costs just under $300. Johnson purchased the Apple products for $279, according to a DPI purchase order, a discount from their listed price. In some cases, districts using Google products returned the iPads to Johnson’s office, asking for cash to spend on their chosen device. It’s unclear how many districts returned iPads, or what DPI will do with the returned tablets. “It took a number of us by surprise, we didn’t see it coming,” said Jeff McDaris, superintendent of Transylvania County Schools in western North Carolina. Jeff McDaris, superintendent of Transylvania County Schools, says his district prefers Chromebooks and returned the iPads. The entire deal, and the preceding meeting with Apple, is unusual, according to June Atkinson, a Democrat who held the state superintendent’s office from 2004 until 2016, when Johnson, then a little-known, local school board member from Winston-Salem, defeated her. Atkinson disputed the notion that Johnson and legislators’ private meeting with Apple leaders is commonplace for top education policymakers. “I never had that experience while I was superintendent,” Atkinson said, a point confirmed by top Atkinson lieutenants who spoke to Policy Watch in recent days. 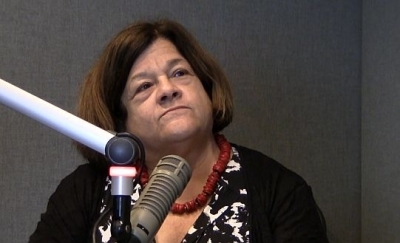 However, Atkinson said she recalls invites from tech giants like Apple during her tenure. “It certainly doesn’t pass the smell test,” adds Jane Pinsky, director of the N.C. Coalition for Lobbying & Government Reform, a nonpartisan, ethics reform organization. Pinsky says public officials who participate in such meetings should consider both the law and the appearance. “If you wouldn’t receive something if you weren’t in your position, don’t take it,” she added. 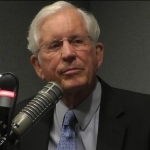 Bob Hall is the recently-retired director of Democracy N.C., a watchdog group that’s long sought stronger ethics and campaign finance rules in North Carolina politics. However, Collins urged officials to consult with their ethics officials first. While Saine and Lee did not respond to Policy Watch interview requests, Fraley said he was granted permission by state House leadership to attend, a common practice for legislators when they spend state money on a trip. Senate President Pro Tem Phil Berger and House Speaker Tim Moore did not return requests for comment at press time. Fraley, meanwhile, said the meeting focused on digital and personalized learning. “I can tell you unequivocally in my opinion there was nothing about that meeting that was trying to push Apple products,” said Fraley. “I think it’s our responsibility to find out as much information we can from as many people as we can before we make education appropriations,” Fraley said. Doyle, the Craven County superintendent, said she understands why some would question a vendor buying meals for public officials with broad purchasing powers. Members of the General Assembly’s Legislative Ethics Committee, a bipartisan panel of state lawmakers, would hear ethics complaints against legislators if they are filed, although portions of that process are confidential. Sen. Lee, who attended the Apple trip in question, is also co-chair of the ethics committee. The state’s Board of Elections & Ethics Enforcement would consider complaints against public servants like Johnson. Staff and board members at the ethics office do not discuss specific matters with the media if they may ultimately come before the ethics board for review. A Policy Watch review of state documents found that major tech companies have treated some of North Carolina’s most influential budget authors multiple times since 2015. Phillips called Saine’s Google trip last year “eyebrow-raising,” pointing to the high-dollar amounts spent on the legislator while he attended an “Internet state policy conference” with the Silicon Valley giant last October, according to a state expense report obtained by Policy Watch. According to Google’s state disclosure, the company spent almost $1,400 on the lawmakers’s American Airlines flight into the San Jose area, near Google’s Mountain View, Calif., headquarters. Google also bought a three-night hotel stay, at a rate of $342 per night, at the Hotel Valencia Santana Row – billed as San Jose’s “premier boutique hotel” – and footed the bill for a $176 dinner for Saine at Left Bank, an upscale French brasserie. d. $71.99 on food and beverage provided by Google in Mountain View, Calif.
Google hosted Saine previously in October 2015, as well as ex-state Rep. Mike Hager, a Rutherford County Republican and former House majority leader who stepped down in 2016 before establishing a lobbying company. During that conference, Google reported spending nearly $4,000 on the two lawmakers, mostly on flights and hotel rooms at an Aloft hotel in Silicon Valley. The company also bought $70 meals at a Palo Alto pizzeria for the legislators. Apple, meanwhile, paid out more than $2,400 over two days in 2015 during a gathering at Apple headquarters with Lt. Gov. Dan Forest, Rep. Craig Horn, R-Union, and ex-state Sen. Dan Soucek, a Republican from western North Carolina. Reports show Google also paid small tabs for legislators of both parties as the company ramped up its Google Fiber high-speed Internet service in North Carolina. Ethics advocates like Pinsky and Phillips say lobbyist-sponsored meetings were more common a decade ago, when companies regularly courted powerful North Carolina politicians with lavish meals, drinks and hotel rooms. The gatherings were largely unregulated, they say, and General Assembly leadership sought reforms that would limit companies’ questionable largesse. “The whole reason for the ethics law was to stop the ‘wining and dining,’ to stop big money sort of gaming the decisions,” said Phillips, who says last year’s meetings with Google and Apple are reminiscent of those times. The sessions with North Carolina leaders come with tech giants reportedly courting state K-12 policymakers across the U.S. In 2011, the New York Times documented similar “executive briefings” between Apple officials and education leaders in states like Minnesota. The company reportedly wooed government leaders with meals and hotel rooms in Silicon Valley. And in a report last year, the Times detailed Google’s successful efforts to overtake Apple and Microsoft in the nation’s public schools, by lobbying teachers directly and aggressively marketing their products to potential buyers overseeing lucrative government contracts. Tech companies’ outreach to school officials played a part in a Baltimore superintendent’s indictment on perjury charges this year, after he allegedly failed to report consulting payments he’d received from an institute that helps to land school contracts for tech firms. Yet companies’ forays into North Carolina politics have occurred with far less scrutiny. Numerous public officials, Republicans and Democrats, who spoke to Policy Watch in recent days said they knew nothing of last year’s Apple summit. That may be because state laws place most reporting requirements on lobbyists and the organizations they represent, rather than public leaders. That means officials like Johnson, Fraley, Saine, and Lee are not required to disclose Apple’s spending as “gifts” on their annual statements of economic interest, a disclosure meant to deter conflicts of interest. Indeed, each official reported no gifts in 2017, although Lee’s statement disclosed that the senator and his wife own at least $10,000 in Apple stock and stock options. “It smacks of there is something improper going on, particularly when you turn around and see a $6 million expenditure on iPads under the guise that it’s going to free up teachers from instruction,” said Sen. Erica Smith, a Democrat representing several counties in eastern North Carolina and a secondary math instructional specialist who sits on the Senate education budget panel. Rep. Mickey Michaux, a Durham Democrat and sitting member of the appropriations committee, also criticized the process. “A $6 million contract after wining and dining state legislators to me would be suspect,” Michaux told Policy Watch. Some lawmakers were less concerned. 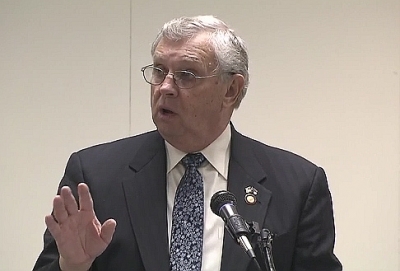 “I will tell you at 13 grand a year, if somebody wants me to come see their operation, they’re paying for it,” said Rep. Craig Horn, an influential Union County Republican who co-chairs the House education spending committee. Horn added that the trips make legislators more informed, helping them to make better purchases for the public good. But the lawmaker acknowledged there should be limits if the company is paying the tab. I don’t expect to be eating at McDonald’s. I expect to be treated as an adult and as a professional. But that’s not enough, says Phillips. Leaders, regardless of whether they have ill intent, should keep appearance in mind when they consider meetings of this sort, he said. “Perception can be more powerful than reality,” he said.